Why Can’t Your Expense Reporting Software Do This? Abacus is expense reporting software that doesn’t use expense reports. It’s not. To any team that uses modern software for accounting and finance, it’s actually the only expense workflow that makes sense. 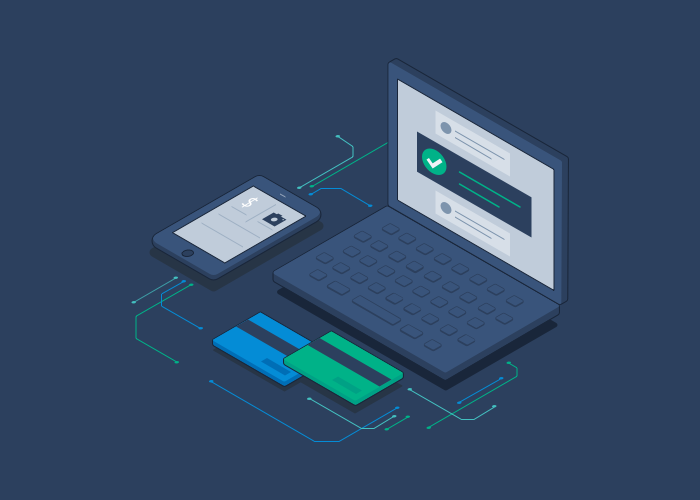 Abacus uses a method called real time expense reporting, which processes individual expenses as they flow into the system—without bottlenecking them inside traditional expense reports. It provides unprecedented visibility into your spend and minimizes the opportunity for error. Real time expense reporting is the only way to automate expenses with the same speed that other software manages invoicing, AP / AR, and so on. We understand how different real time expense reporting may seem at first.Real time expense reporting is powerful, but it displaces an older, more familiar method on which many teams still rely. People ask us all the time why Abacus doesn’t have expense reports. In those cases, our best reply is another question: why can’t your expense software do what real time expense reporting can? Why can’t you review expenses in custom reports? When people express skepticism about real time expense reporting, their most common concern is that getting rid of expense reports will inundate them with a flood of expense submissions. But that’s not how the method works. With real time expense reporting software, you review expenses in more logical custom reports. Instead of sifting through employee-generated expense reports, real time expense reporting automatically organizes expenses into what we call Live Reports. With these customizable reports you can review and approve expenses by location, by project, by employee or dollar thresholds, or any other criteria you want. This level of control is only possible because expenses flow into the system as individual data points. Imagine counting a jar full of change by putting it through a coin sorter. That’s how real time expense reporting lets you sort expenses. With traditional expense reports, that sortation would be impossible. Real time expense reporting unpacks the data inside an expense report and makes it responsive to your needs. The method eliminates 80% of your review time and makes reporting much more powerful. Why can’t you enforce your policy before expenses are submitted? Real time expense reporting also means real time policy enforcement. Because the system processes a stream of individual expenses, software can act as a gatekeeper for each one. Whenever the system detects an exception, it either flags the expense as a rule violation or prevents the expense from being submitted at all, depending on the Finance team’s settings. No other expenses are affected when this happens, because they’re all independent of one another. Applying your policy on a granular level gives you immense control over your expenses. Every expense in your system either adheres to the rules or has been surfaced, by the software, as warranting a closer look. Fraud is easier to detect and budgets are easy to impose. Better yet, it’s not you who has to be vigilant against expense violations. The system does it for you. Traditional expense reports can’t proactively enforce policy. They’re black boxes of expenses that hide their contents until the reviewer opens them up. This costs not only review efficiency, but control. Real time expense reporting is the only system that provides airtight control on each expense, which is why teams using Abacus approve 83% of their expenses without needing to edit any information. Why can’t you route expenses only to the right approvers? Real time expense reporting is able to route each individual expense to the exact approvers who need to see it. This is only possible if expenses are unbundled from one another. Imagine: every expense pertaining to Client A routes first to the Account Manager for that client, then to the employee’s manager. Every expense pertaining to Project B goes directly to that Project Manager, no matter which department the submitting employee sits in. Meanwhile, no approver sees expenses they don’t need to. Suppose you want any corporate card transaction over $5,000 to be approved directly by the CFO. With the old method, you’d have to send them the whole expense report, including all the $5 coffees and $10 cab rides it contained. That’s a waste of the CFO’s attention, not to mention a poor way to control your spending on small expenses. With real time expense reporting, the CFO will see only the big expense, while the small ones will route to their own Live Reports for more informed review and tracking. The only reason businesses still use traditional expense reports is inertia. At one time, the most efficient way to get expense documentation from employees to the finance team was to tape receipts together and fill out templated forms. Today we have mobile cameras, automated accounting software, and convenient apps for peer-to-peer payments. We live in a world of real time data. Digitizing a workflow that was developed in a paper-based world makes no sense in the mobile-connected world. The problem with traditional expense reports isn’t about paper. The problem is the format itself. Real time expense reporting is the solution. It turns expenses into dynamic data points, letting teams manage their expenses with more context and control. With finance automating more every day, the only way to power modern accounting software is with a managed flow of real time expense data.